A simple statement of your love. This elegant 9ct gold illusion solitaire diamond ring is made for perfect proposals. Set on a traditional 6 claw mount. 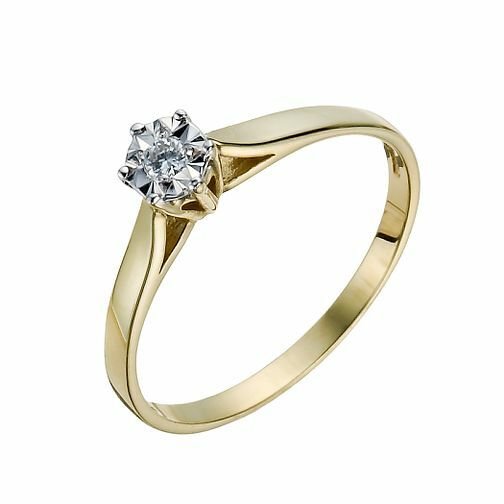 9ct Gold Diamond 6 Claw Illusion Solitaire Ring is rated 4.8 out of 5 by 13.